This school year, much of student involvement at Shenandoah University began with events planned by Intercultural Programs. Along with the Interim Associate Director of Student Engagement, Maggie McCampbell Lien, work-study students worked with what students on campus wanted and what students may not have known in terms of cultural diversity in order to plan those events. The program looks to inform students about all aspects of culture: race, ethnicity, sexual orientation, gender and spirituality. McCampbell Lien, believes the program exists to make S.U. more welcoming and accepting for all diverse students. “… We need to look at difference as an asset and not something we need to ‘overcome,’ and I think this is an important mindset for an inclusive campus community,” McCampbell Lien says. Previous to her position at S.U., she loved working with students who felt underrepresented on college campus during her time in graduate school. With that in mind, she continuously looked for work in the multicultural support area and found the new position in Intercultural Programs for S.U. The Shenandoah campus needed someone who brought focus into bringing more awareness about diversity. Thus, the program began its work during the fall semester of 2013. As the program began, McCampbell Lien and her work-study students started to shape what the program stood for since it was new. They began to cater events that would represent everyone from gender to sexual orientation to race and tried not to focus on one characteristic; they look to plan events that would interest students, faculty and staff alike. Some prominent past events include Food Tasting during Hispanic Heritage Month; students cooked food for everyone to taste in the BSC. The BeYOUtiful Campaign that was hosted during the previous school year reached everyone across campus and informed about body image issues. 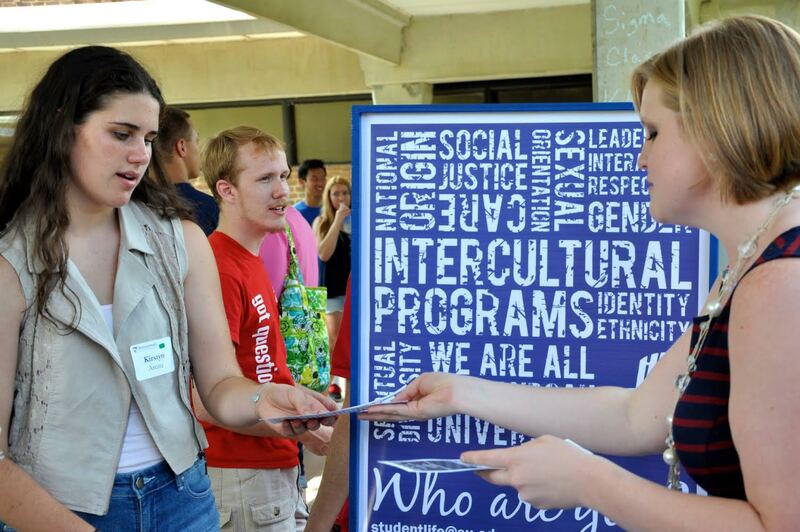 Every event done by Intercultural Programs is student-led. Students are asked what programs and events would most benefit the S.U. community. The idea is presented by McCampbell Lien to her work-study students who work together to see if it is plausible to execute in an event. Once it seems executable, the students plan it with facilitation from McCampbell Lien. On Monday, Oct. 27, they are screening “American Textures” to the BSC in the Ferrari room at 6:00 p.m. Directed by Arnd Wächter, the film surrounds the story of six young people of Latino-, Caucasian- and African-American background. They travel across a few states and learn about class, race and culture. Another prominent future event involves Native American Heritage in November when the group travels to Washington D.C. They will be visiting the Museum of the American Indian and will also have a weeklong celebration around the GCP Convocation. Events are planned for the entire semester and are posted in the SUN-E, released each working week. Intercultural Programs constantly look to grow, and they always ask for student engagement and opinion as long as it relates to their purpose. For more information or future events, contact Maggie McCampbell Lien at mmccampb@su.edu.